‘ A fantastic add on to our Moerdijk services” says Gerard de Groot managing director of A2B-online. “We are always looking for new opportunities whereby the requirement of our customers and the hinterland connections play a vital role. Both items do apply creating this new short sea service’. ‘The Broekman Distriport terminal is in the middle of a chemical cluster and it is closely situated to the intermodal facilities with trains arriving from Italy and Germany’ continues Rik Pek, Managing Director Broekman Terminals. “Of course we are very excited about this development and we are very are much looking forward to the cooperation with A2B-online’. Frans Calje, CEO of PD Ports explains: ‘it shows the recognition of what we have developed in Teesport recently. Our port is well located in the North and the intermodal connections do apply here as well with links to Scotland and the East coast as well that we are currently working upon. The cooperation with A2B-online with their short sea services from Moerdijk is very good and has grown ever since. We are confident that this will be a success as well’ he finishes. ‘The service will be operated with the MS ‘A2B Ambition’, a Sietas 151 type of vessel of 501 TEU that we acquired. At present she is still in the Med but we expect here to arrive early May in the Botlek to start operations’ says Michael van Keulen, Operations Director of A2B-online. A2B-online Container B.V. directeur Gerard de Groot is Spoorman van het Jaar. Tijdens het Spoorcongres 2017, dat donderdag in Tiel gehouden wordt, is Gerard de Groot, algemeen directeur van A2B-online Container B.V. uitgeroepen tot Spoorman van het Jaar. De Groot heeft als directeur van de nog jonge rederij A2B-online in de afgelopen jaren een succesvolle shortseadienst tussen Moerdijk en Groot-Brittannië opgezet. Als onderdeel daarvan heeft hij zich ingespannen om nieuwe spoorverbindingen op te zetten. Zo lobbyde het bedrijf onder andere voor een spoordienst tussen Moerdijk en Milaan. De onderscheiding Spoorman van het Jaar is in het leven geroepen door het voorlichtingsbureau Rail Cargo in Rotterdam en wordt jaarlijks uitgereikt aan iemand, die zich als ondernemer sterk maakt voor de promotie van het spoorgoederenvervoer. De haven van Moerdijk krijgt een tweede opstelspoor. Het Havenbedrijf heeft maandag het startschot voor de aanleg gegeven. De aanleg neemt een paar maanden in beslag. Het tweede spoor komt naast een opstelspoor, dat voorheen bij Shell in gebruik was. Dat is vorig jaar als ‘parkeerplek’ voor treinen in gebruik genomen met het oog op de forse groei van vooral het containervervoer per spoor via Moerdijk. Volgens een onderzoek dat het Havenbedrijf eerder dit jaar liet uitvoeren kan het spoorvervoer van en naar de haven op korte termijn groeien van ongeveer 875.000 ton nu tot 1,6 miljoen ton en naar zo’n 2,7 miljoen ton rond 2023. In die studie werd de aanleg van een tweede opstelspoor bij wijze van ‘quick win’ al geadviseerd. Volgens het onderzoek zou de haven de komende jaren zo’n 3,5 miljoen euro moeten investeren om de verwachte groei van het spoorvervoer te accommoderen. Op de middellange termijn zou er nog eens ruim drie miljoen extra nodig zijn, onder meer voor de aanleg van een nieuwe spoorboog naar de snelgroeiende containerterminal CCT. A2B-online Container, GoodFuels and We4Sea launch project to reduce shipping emissions. MOERDIJK, AMSTERDAM 21 August 2017 – A2B-online Container, GoodFuels Marine and We4Sea launch a collaboration project with the aim to reduce fossil fuel consumption and CO2-emissions for two A2B-online ships. Big Data technology is used to map the possibilities for more efficient shipping operations. The cost efficiencies achieved by reduced levels of fuel consumption will subsequently be used to deploy advanced, sustainable biofuels, by which the CO2-emissions will further decrease. 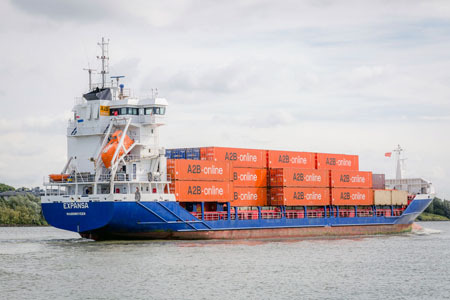 A2B-online Container B.V. offers reliable shortsea services from the port of Moerdijk to several ports in the UK. This collaboration project is in line with A2B-online’s ambition to further improve the emission performance of her ships. In the project, We4Sea will first map out the saving potential, after which GoodFuels Marine will utilize this saving potential for the replacement of fossil fuels by sustainable biofuels in a cost-neutral way. Earlier this year, the ambitious and dynamic short sea operator A2B-online Container BV situated in Moerdijk, put themselves the target to obtain the ‘Approved Continues Examination Program’ for their owned 45 ft containers. The socalled ACEP system resorts under the IMO CSC, the Convention for safe Containers. A2B-online Container BV completed recently this program successfully with the consultancy of Quist Maritime Services BV, audited and certified by Bureau Veritas. ACEP regulations, it will bring us a lot of efficiency and control" emphasises Technical & Nautical Manager of A2B-online Container, Chris Zwarts. 'We are one of the very few within our market segment who are allowed to operate within this regime and we are very proud at that' he finishes with great enthusiasm. A2B online Container BV offers a professional door to door container and shipping service to and from the UK centrally organized from Moerdijk. 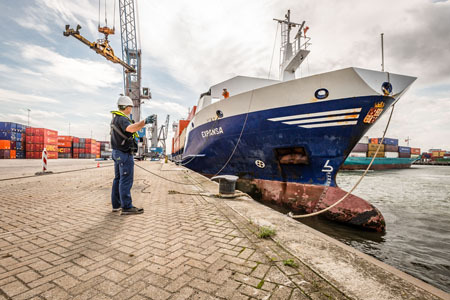 It operates 6 container vessels and 1200 x 45ft containers with daily departures from the port of Moerdijk to different ports situated at the East Coast of the United Kingdom and vica versa. Lineas Intermodal ( previously called IFB ) will upgrade their services from Segrate ( Milano ) to Moerdijk from 5x per week to 6 x per week as from June. ‘We are very pleased with the performance and the utilisation of the train’ according to a spokesman of the company that re-branded just recently their name. Den Hartogh Dry Bulk Logistics in co-operation with CTS/Meulenberg will start operating a 3 x weekly rail service between Geleen ( Southern Holland ) and Moerdijk. This is mainly based upon the polymer volumes of Den Hartogh’s customer in Geleen which are serviced by the Dry Bulk , 30 ft Bag in Box system.The rail service is on request open for other containerized cargo as well. Erik Jan de Bree, Intermodal & Procurement Manager at den Hartogh Dry Bulk Logistics quotes: "we are very happy that we have managed together with our main customer and partners to start this service between Geleen and Moerdijk. It shows that even within short distances we are able to move goods in an efficient and environmentally friendly mode . Moerdijk is for us the most logical port to combine it with". Since 1st of May 2017 BCTN den Bosch has started a regular barge service into Moerdijk as well. This service is based upon a dedicated flow that A2B-online Container has obtained from that area but it is expected that other cargoflows will follow shortly. Recently Frankenbach Container Srevices started a regular bargeservice from Mainz to Moerdijk. Roland Hesse, Managing Director of FCS, quotes :"there is considerable volume from our area in Germany that can be routed by barge to Moerdijk. We are providing the shippers a very good alternative towards road transport and we are very happy with the close cooperation that we have established with A2B-online Container". In view of increased demand A2B-online Container has decided to increase the number of sailings from two sailings per week to three sailings per week. "Especially the new rail connections from Ludwigshafen and Geleen will have a positive effect on the volume on this route" explains André Mast, Sales Director at A2B-online Container. 'We are fullfilling a desired wish of a number of our customers by doing this so I am very pleased that we can announce that we will have our first additional sailing at 20th. May". 'With all the projects that we have worked upon over recent months the demand for more capacity on the short sea ex Moerdijk became a necessity' says Michael van Keulen, Operations Director at A2B-online Container. We have bought MS Phoenix II, a Sietas 160A type of container vessel with a capacity of 650 TEU. She will be the largest vessel that we operate and I expect her to come in service during the summer of this year. This will be our fourth vessel that we own next to the two chartered ones! Basically we can operate her on all routes but we are in conversation with the terminals in order to ensure that the ship can be handled within the available port stay so our sailing schedule remains reliable. The growth and the development of the company is fantastic to experience. The response of our customers is stimulating us every day again!" To facilitate all the above in Moerdijk the terminal operator C.C.T. ( Combined CargoTerminals) has invested in two new cranes. "One for the handling at the rail tracks and the other one for the maritime side" explains Luc Smits, Managing Director of CCT. " The growth of the business has made us decide to do this and it will give us the facility to grow along mainly with A2B-online Container. We have made changes in the layout of the terminal to maintain the current dwell time and we are running a project to improve the accessibility of the terminal as well with a new app system ( fast lane facility ) that we hope to have operational by the end of this year". "The Port of Moerdijk puts a lot of energy and time in the improvement and development of the infrastructure in and around the Port. The support and understanding that we receive from the Management and Board of the Port of Moerdijk is excellent. They know that their input and assistance is crucial to execute all the projects and to enabling them in realizing their Port strategy as far as short sea and intermodal is concerned" says Gerard de Groot , Managing Director A2B-online Container. "You need all parties involved including the Port Authority as you are as strong as the weakest chain and it is good to experience that they recognize that as well". The MS Vanquish, 320 Teu container vessel, has been chartered. “In addition to the acquisition of the MS A2B Comfort earlier this year we have now decided to charter the MS Vanquish to guarantee capacity at the short sea ’ says Gerard de Groot, Managing Director of A2B-online Container B.V.
“Taken into account all the intermodal developments that have been achieved; with the start of Kombiverkehr with a new rail connection from Duisburg to Moerdijk earlier this year and recently G.T.S., the Italian rail operator who started a new rail connection from Piacenza to Moerdijk. The growth of volume is substantial”. Michael van Keulen, Operations Director A2B-online Container B.V. continues: “The MS Vanquish, a Sietas type 157 with an intake of 320 teu, will come in charter as from the 28th of February. She will be deployed at our Immingham service initially and depending on the growth of volume we have spare capacity during the weekend so we could choose for an additional sailing into either London Thamesport or Teesport. The additional capacity is estimated around 50.000 teu”. “We do not experience any downfall following Brexit, to the contrary our volumes have risen with nearly 12% in comparison to the same period last year”, concludes de Groot. A2B-online Container strengthens its activity in Moerdijk with investment in third container vessel. “The supply of container vessels in our market segment which we need for our services in Moerdijk are becoming more and more scarce, that is why we have acquired the MS Alma. 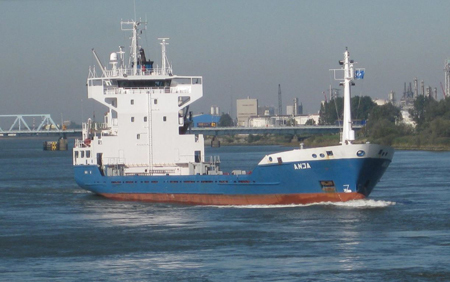 This container vessel,a Sietas 151 type, was already chartered by us, but as from 2nd of January we own it and she has been renamed to MS ‘A2B Comfort”, according to Gerard de Groot, Managing Director of A2B-online Container BV. “ Within our relatively short existence ( started only in the summer of 2013) this is again a fantastic moment for us. Especially for the contingency of our services and subsequently for our customers it is crucial that we were able to purchase the MS A2B Comfort. Two sister vessels the MS ‘A2B Future’ and the MS ‘A2B-Energy’ were already taken over earlier. All vessels have the same intake of 508 TEU. Besides these three vessels we have another two ships on charter with similar intake.The volumes in 2016 have been very good and consequently the utilisation of the ships as well”continues de Groot “ this gives us enough confidence to take such a decision”. UK, adds Michael van Keulen, Operations Director. “In the meantime we sail nine times a week to Immingham next to London Thamesport, Teesport and Blyth , these ports are called upon three times and two times respectively. Moerdijk has become a real short sea port, our growth over recent years has proven this”. Besides the container activities A2B-online has got a trailer division as well which has performed very well in 2016. Both companies are a part of the Dutch Vierhouten Group and report a turnover of nearly €100 mil. annually. We play an interesting role within the European (transport) logistics for those companies that export or ship to the United Kingdom. “Again this year we expect further expansion of our turnover, says de Groot as Kombiverkehr, the German rail operator, will start a rail connection between Duisburg and Moerdijk as well as Alcotrans, the German barge operator who will start a barge connection between Moerdijk and Krefeld. Furthermore we expect some other multi modal projects to start in due course. So we have not finished our growth in Moerdijk yet”,concludes Gerard de Groot. As from Monday the 11th of April 2016, Distri Rail BV, one of the largest Dutch privately owned and neutral rail operators, will start with a new rail connection between, Duisburg and Moerdijk. Both ports play a crucial role within European multi modal logistics. The new service is in addition to Distri Rail's current services of 12 calls per week to the Port of Rotterdam from and to Duisburg. Johan Booij, Managing Director of Distri Rail says: “In its initial start the service will offer 3 calls per week and we expect to increase the frequency of the service later this year. The terminal in Moerdijk that we will call upon is CCT (Combined Cargo Terminals) and in Duisburg it will call at DIT (Duisburg Intermodal Terminal) Duisburg Rheinhausen Logport I”. Especially the German terminal in Duisburg has a fantastic Hinterland with rail connections to the whole of Europe, Russia even up to China per rail. As from Duisburg, there are daily connections to countries / areas as Italy, Switzerland, Austria, Hungary, Romania, Turkey, Czech and Slovak Republic, Sweden, Denmark, Poland, Russia and the former CIS countries and nowadays also daily trains from and to China. Of course for regional industry this new rail connection will be very interesting as well. Distri Rail initiated the new connection, but it is strongly encouraged by its partners Port of Moerdijk, Port of Duisburg, CCT Moerdijk and the young and growing shortsea operator A2B-online. The train service is based upon the sailing schedule of A2B-online and directly connected with the 14 departures and arrivals per week of A2B-online to/from London Thamesport, Immingham, Teesport and Blyth, all in the UK. Next to these UK services, the trains also connect directly to other services to for instance Spain, Portugal and Norway with other short sea services that operate out of Moerdijk. With this connection, clients don’t have to shunt the units anymore by road, but arrive / depart directly on the shortsea terminal. Johan Booij, Managing Director of Distri Rail adds: “This new service is completely in line with our strategy that DistriRail has developed. We see an enormous growth of shortsea volumes and we want to increase our Duisburg service from 12 to 18 trains per week. Also Moerdijk is growing as Seaport and Inland hub. Moerdijk offer nowadays a number of reliable shortsea services besides the UK, to for instance Norway, Spain and Portugal. Furthermore Moerdijk is ideally located just outside the busy, stressed and often congested infrastructure of the Port of Rotterdam. So also for the local industry this will be an interesting option. Areas as Noord-Brabant, Zeeland, parts of Zuid-Holland and the North of Belgium, Moerdijk is very effective to drop off or pick up containers without having to send your trucks in the busy ports of Rotterdam and / or Antwerp” he finishes. Ferdinand van den Oever, general manager Port of Moerdijk: “We are very proud of this new rail connection between Duisburg and Moerdijk. It is an important step in realizing our railway ambitions as stated in our Port Strategy. The combination of water transport and rail leads to less truck traffic on the road, and to less congestion. But it is also important for a healthy environment, one of the other goals of our Port Strategy”. ‘ Yes in a way it is unique’ reacts Managing Director and shareholder Gerard de Groot, ‘ we will provide our customers 8 x sailings a week from Moerdijk to Immingham and vice versa. There is not a single other short sea operator who offers this in the market. We have always focused on increasing the frequency instead of putting more tonnage to the market only. Frequency and reliability are key elements in the short sea market segment and that is what distinguish us. Our customers identify this and they respond to it as well to ship more and more with us’. He continues enthusiastically : ‘ What we have established in just two years is quite remarkable, the fifth container vessel a Sietas 151, a 508 TEU ship will be added to the fleet and management by Holwerda Shipping a very well-known Dutch ships owner. The MS ‘A2B Future’ is our second vessel that we own. At the beginning of this year we took the MS ‘Expansa’ over, which was already chartered by us. The decision to increase our capacity was a logical step after the start of a dedicated container train connection between Milano and Moerdijk earlier this month’ adds Andre Mast, Commercial Director of A2B-online Container. Besides this, a number of other projects will start in October, which will generate additional volume is our expectation’. This intermodal link has three departures and arrivals per week and is operated by IFB ( Inter Ferry Boats ) the Belgian rail operator. ‘Of course we are excited by the fact that, in cooperation with some major customers and IFB, this train connection has been realized’. Luc Smits, the Managing Director of CCT Moerdijk, adds ‘ we have invested in new cranes and we have invested in additional reach stackers as well to ensure a smooth operation at both the rail - and the maritime side’. Naturally we are as proud as A2B-online Container is in what we all have achieved and it is giving us all a thrill that it has been recognized by their customers as well’. Gerard de Groot continues: ‘this is indeed correct, a number of our customers have decided to use Moerdijk as one of their main hubs or depot including container repair’. ‘Besides the increase of the frequency to Immingham we will be increasing capacity to London Thamesport with 25% as well. This is quite substantial and again customers have identified that this port in the South is extremely well organized with very quick turnaround times. This of course improves the productivity and efficiency we are all looking for’ de Groot concludes. Main shareholder Kees Vierhouten of A2B-online , finalizes: ‘surrounded with the expertise and knowledge we knew that we could develop an interesting product for the customer. 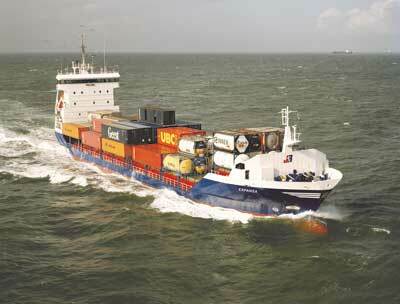 We have invested in this product as we are convinced that it will contribute to the logistics of short sea transport. On top of this we have also recently invested in another 250 x new 13.60 mtr A2B-online trailers giving the customer the opportunity to make use even more of the total package that we offer them in short sea transport. The name of the ship ‘A2B Future ‘describes it all: there is a bright future for the Group and I am pleased that I can participate in my own way in this’! 03-05-2015 New trailers A2B-online provided for Smurfit Kappa Group. We are happy to announce that the first serie new A2B-online trailers are delivered with the official brand and logo of Smurfit Kappa. The current long term pleasant and constructive cooperation between both companies will be extend for a period of 2 years. 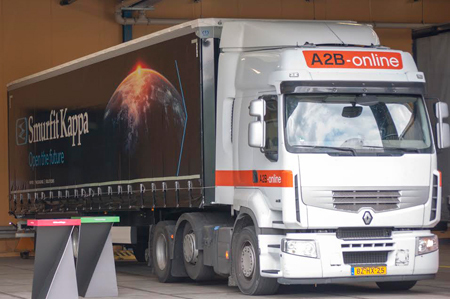 A2B-online BV based at Waddinxveen, is managing and operating on a dedicated base the transportation to the UK and Ireland on behalf of Smurfit Kappa Zedek, based on own trailer fleet, drivers and trucks. Smurfit Kappa manufacture paper-based packaging, with our locations supported by a network of paper, recycling and forestry operations. 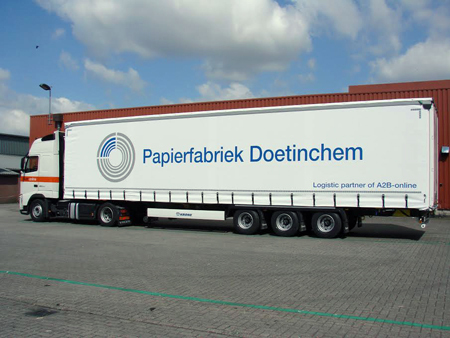 We are happy to announce that the first serie of new A2B-online mega trailers are delivered with the official brand and logo of Papierfabriek Doetinchem. The current long term pleasant and constructive cooperation between both companies will be extended for a period of 3 years. 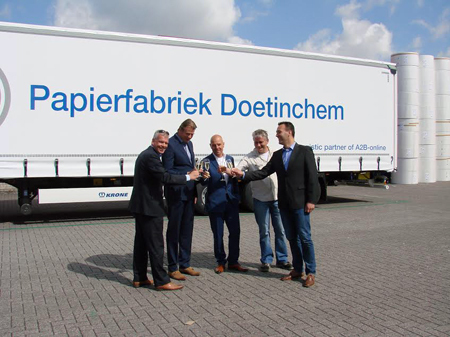 A2B-online BV based at Waddinxveen, is managing and operating on a dedicated base the transportation to the UK on behalf of Papierfabriek Doetinchem, based on own trailer fleet, drivers and trucks. Papierfabriek Doetinchem bv produces a portfolio of 100% recycled lightweight MG papers for a wide range of applications to serve a global customerbase. An agreement has been reached between A2B-online Container and Port of Blyth international logistics subsidiary Transped Limited, to commence a new twice weekly short sea service between Moerdijk and Blyth. At the same time A2B-online Container will be upgrading their Teesport Service. Business portfolio A2B-online container B.V.
A2B-online Container BV offers a five weekly departure from Moerdijk to Immingham v.v. The departures ex Moerdijk are Monday-, Tues-, Wednesday – Thurs-, and Friday evenings, whereby the next day shipments out of Immingham take place. 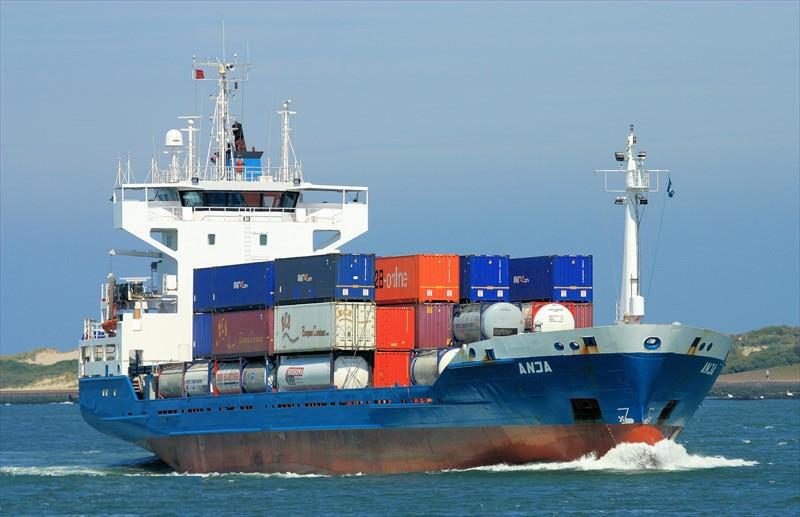 A2B-online Container offers three weekly departures from Moerdijk – London Thamesport v.v. The departures ex Moerdijk are Mon-, Wed-, and Saturday whereby the next day shipments out of London Thamesport take place. A2B-online Container BV offers one sailing per week to Teesport departing each Saturday whereby the next day shipment out of Teesport take place. The Company charters three container vessels to operate the services and has a fleet of 800 45x ft containers. The Company has its office in Moerdijk and all operations is centrally managed out this office as well. A.B.P. ( Associated British Ports ) Ltd at the Exxtor terminal in Immingham. 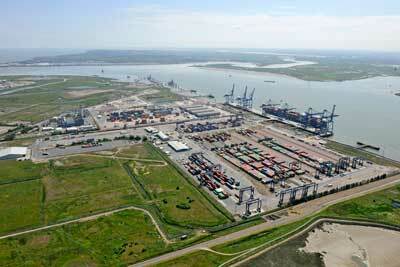 The terminal operator in London Thamesport is Hutchison Ports Uk Ltd. Port of Blyth is one of the largest Trust Ports in the UK handling up to 2 million tonnes of cargo each year across a number of sectors including unitised, offshore energy, heavy lifts, dry bulks, liquid bulks and general breakbulk. Blyth is strategically placed on the east coast of the UK and is an ideal Port for serving northern England and Scotland. Port subsidiary Transped are a well-established international logistics operator specialising in short and deep sea unitised shipments. With agency offices across Europe and a fleet of high cube equipment, Transped offer a first class, flexible service to their growing customer base. Transped also handle the worldwide movement of project cargo and have an export packing division operating within the Port. operation as well; that is why we decided for London Thamesport’. André Mast, Commercial Director A2B-online Container B.V.
Gerard de Groot, Managing Director A2B-online Container B.V.
01-06-2013 - A2B-online starts container business with new short sea service between Moerdijk - Immingham. A2B-online, the specialized trailer operator to the UK, is going to expand extensively their activities with a new 3x weekly lo/lo service from Moerdijk to Immingham v.v. 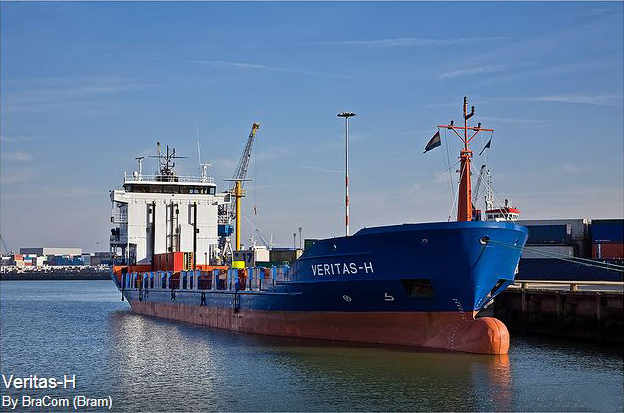 The MV ‘Veritas H’ has been chartered to operate the Service. ‘We already had ideas to explore our services but when the opportunity arose to start up a new container service with so much expertise and knowledge we took the decision’, says Dinant de Jong Managing Director of A2B-online. ‘However, the container division is going to operate separately out of Moerdijk’ adds Dinant de Jong. ‘It is a wonderful challenge’ continues Gerard de Groot, ‘the concept is right. We have identified in our preparation that there is strong demand for a reliable and frequent short sea connection out of Moerdijk to the Uk and to the Humber in particular, that made us decide for Immingham. It offers shippers and operators many ( economical ) advantages and it is a good add on to A2B-online’s current businesses. Moerdijk is a very attractive location with an interesting hinterland having a good infrastructure for barges and rail. On top of this it is strategically well located as next to Moerdijk the first short sea terminal is located more than 30 kilometers away. This brings considerable savings which is not unimportant. The motorways around Rotterdam like the A15 are getting more and more congested which negatively influences the productivity. By using the new service from Moerdijk one can create a much higher efficiency in haulage. Furthermore it is environmental friendly! The departures ex Moerdijk are Monday-, Wednesday – and Friday evenings, whereby the next day shipments out of Immingham will take place. Herewith we fulfill the demand of the customer: frequent sailings and reliable transit times. At Moerdijk the terminal of CCT ( Combined Container Terminals) will be called upon whereas in Immingham ABP ( Associated British Ports ) will handle the ship at their Immingham Container Terminal. ‘We are very proud’, states André Mast who is with 25 years of experience responsible for Sales. ‘The confidence that we have been given by Kees Vierhouten, the main investor and owner of the van Vierhouten Group of Companies and main shareholder in A2B-online is fantastic. ‘Simultaneously we will invest in 45ft containers as well ‘adds Gerard de Groot. This loading unit has proven itself over the last decades and the demand for this type of equipment is only increasing. A2B-online Container B.V. directeur Gerard de Groot is Spoorman van het Jaar. Tijdens het Spoorcongres 2017, dat donderdag in Tiel gehouden wordt, is Gerard de Groot, algemeen directeur van A2B-online Container B.V. uitgeroepen tot Spoorman van het Jaar. De Groot heeft als directeur van de nog jonge rederij A2B-online in de afgelopen jaren een succesvolle shortseadienst tussen Moerdijk en Groot-Brittannië opgezet. Als onderdeel daarvan heeft hij zich ingespannen om nieuwe spoorverbindingen op te zetten. Zo lobbyde het bedrijf onder andere voor een spoordienst tussen Moerdijk en Milaan. De onderscheiding Spoorman van het Jaar is in het leven geroepen door het voorlichtingsbureau Rail Cargo in Rotterdam en wordt jaarlijks uitgereikt aan iemand, die zich als ondernemer sterk maakt voor de promotie van het spoorgoederenvervoer.